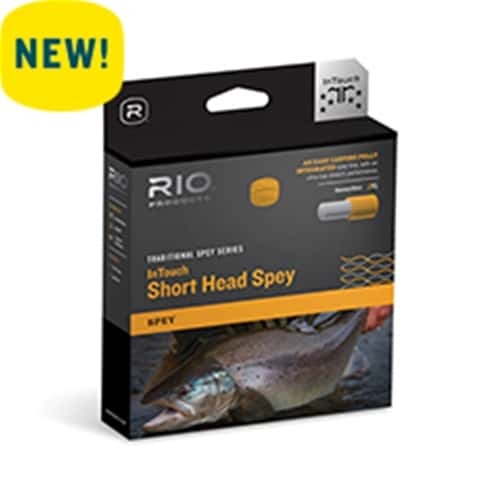 The InTouch Short Head Spey line from RIO is a very easy casting, traditional style Spey line, which is ideal for Spey casters moving up from easier casting Scandi and Skagit heads. The head length varies between 40 ft and 50 ft, depending on line size, and it is a great choice of traditional Spey line for anglers using shorter rods and when fishing in tight quarters. By popular request RIO has made this an interchangeable tip line. The floating running line and body comes complete with a 15ft replacement tip. Anglers just need to switch this tip out with the appropriately sized sink tip to get the utmost in versatility. The line is built with RIO’s ultra-low stretch ConnectCore for the very best in efficiency and load.